Millennium 7 Publishing Co.: Tracking Brand Images On Social Media? Tracking Brand Images On Social Media? 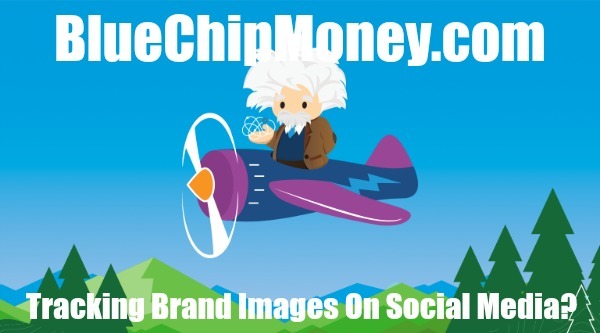 Brands have long been able to search for company mentions on social media, but they’ve lacked the ability to search for pictures of their logos or products in an easy way..
That’s where Salesforce’s latest Einstein artificial intelligence feature comes into play. Today the company introduced Einstein Vision for Social Studio, which provides a way for marketers to search for pictures related to their brands on social media in the same way they search for other mentions. The product takes advantage of a couple of Einstein artificial intelligence algorithms including Einstein Image Classification for image recognition. It uses visual search, brand detection and product identification. It also makes use of Einstein Object Detection to recognize objects within images including the type and quantity of object. AI has gotten quite good at perception and cognition tasks in recent years. One result of this has been the ability to train an algorithm to recognize a picture. With cheap compute power widely available and loads of pictures being uploaded online, it provides a perfect technology combination for better image recognition. Rob Begg, VP of product marketing for social and advertising products at Salesforce, says it’s about letting the machine loose on tasks for which it’s better suited. “If you think of it from a company point of view, there is a huge volume of tweets and [social] posts. What AI does best is help surface and source the ones that are relevant,” he says. As an example, he says there could be thousands of posts about cars, but only a handful of those would be relevant to your campaign. AI can help find those much more easily. Begg sees three possible use cases for this tool. First of all, it could provide better insight into how people are using your products. Secondly it could provide a way to track brand displays online hidden within pictures, and finally it could let you find out when influencers such as actors or athletes are using your products. The product comes trained to recognize two million logos, 60 scenes (such as an airport), 200 foods and 1000 objects. That should be enough to get many companies started. Customizing isn’t available in the first release, so if you have a logo or object not included out of the box, you will need to wait for a later version to be able to customize the content. Guest Authored By Ron Miller. Ron is enterprise reporter at TechCrunch. He has been a Freelance Technology Journalist since 1998. In addition, he is Contributing Editor at EContent Magazine where he writes the Media Redux column and is a regular contributor at Digital Content Next. He helped launch and still runs the blog socmedianews.com. Past regular gigs included CITEworld, DaniWeb, TechTarget, Internet Evolution and FierceContentManagement. Ron is currently corporate blogger for Intronis where he writes once weekly on issues related to the cloud, and a weekly feature called The Cloud 5 where he aggregates five links related to the cloud computing. He has contributed to various corporate blogs in the past including Ness, Novell and the IBM Mid-market Blogger Program. Follow Ron on Twitter.